Random Anny .Com: Home Depot has me wrapping Christmas gifts already! Home Depot has me wrapping Christmas gifts already! 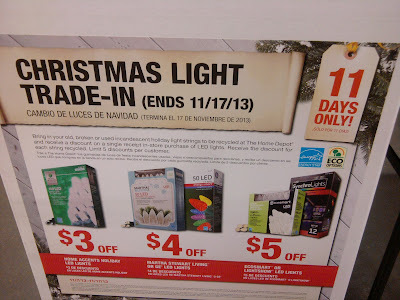 Remember last week when I was wondering when Home Depot would run their holiday "trade up lights" promo? Well they were already running it, albeit poorly. They also had a young guy telling everyone about the promo. He was REALLY excited and it was obvious he didn't know Home Depot does this every year. So why do I say this was being poorly run? Well Home Depot didn't have an ad last week. 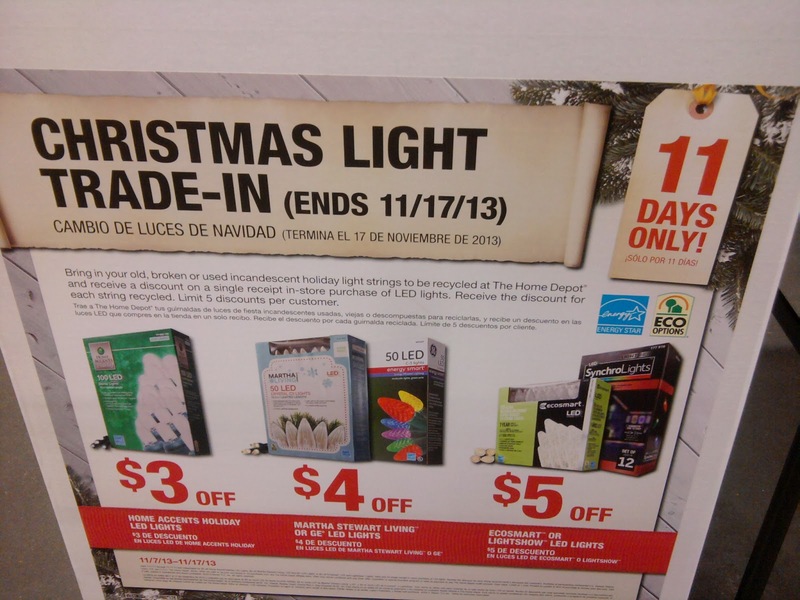 This week they have a section on the back page dedicated to it but by now the "11 days only" period is almost over. Its also being advertised right on the front page of their site. I recycled those .50 garage sale string lights and an old set of mine. Then I started wrapping presents cause it is too early to decorate and it felt right. These are the ones I bought for our Forever Home. 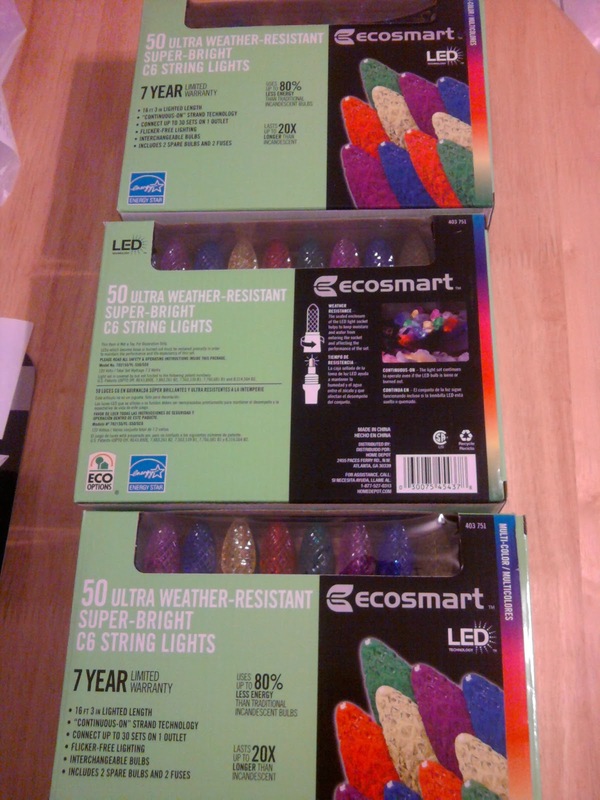 Cheerful LED exterior lights down to $8.98 from $13.98. 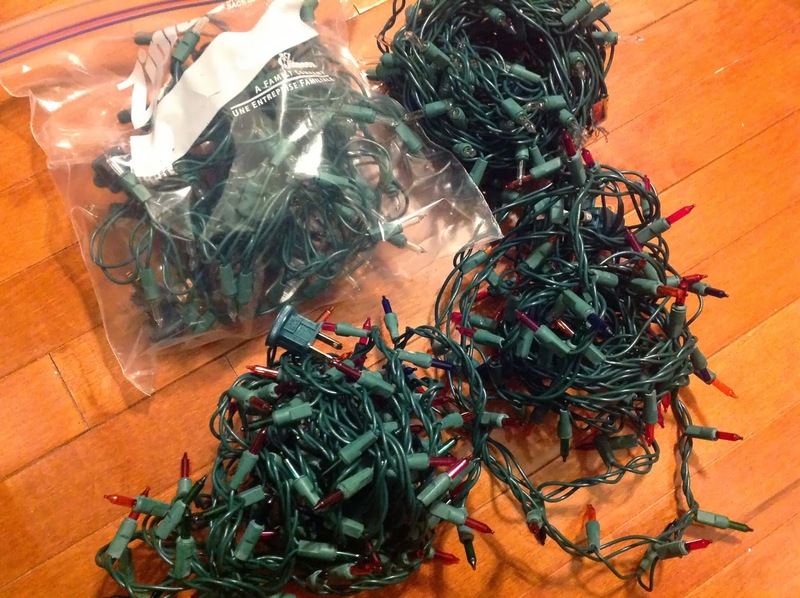 Its funny but I only used to buy clear Christmas lights because they "matched everything" but I'm over being serious and classy - I want colorful fun! Last year I bought the Martha Stewart battery operated lights with timer and I'm really looking forward to setting them up again. They are awesome and if you don't have some you should probably go buy some now because blog visitors kept asking me all year where to buy them.